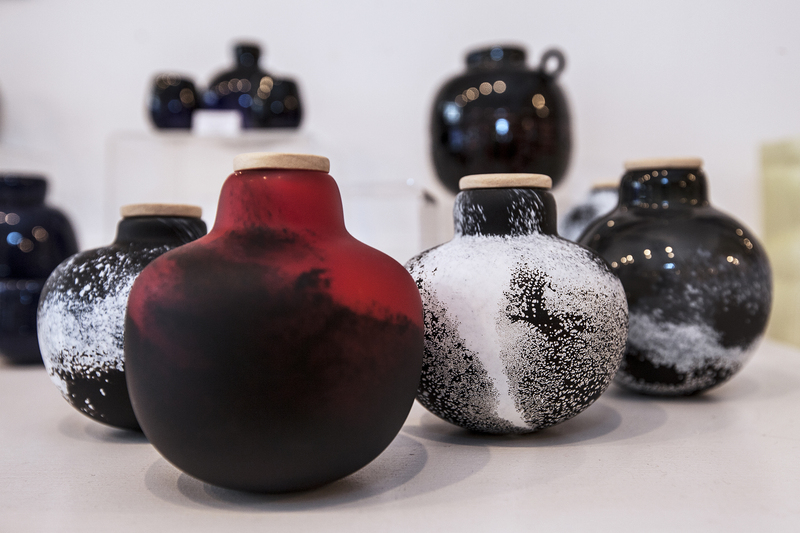 Sarah Spalding and Louise Forbes met while studying at Duncan of Jordanstone College of Art and Design in Dundee. Sarah specialises in jewellery and metal work design and Louise in interior design and furniture making. 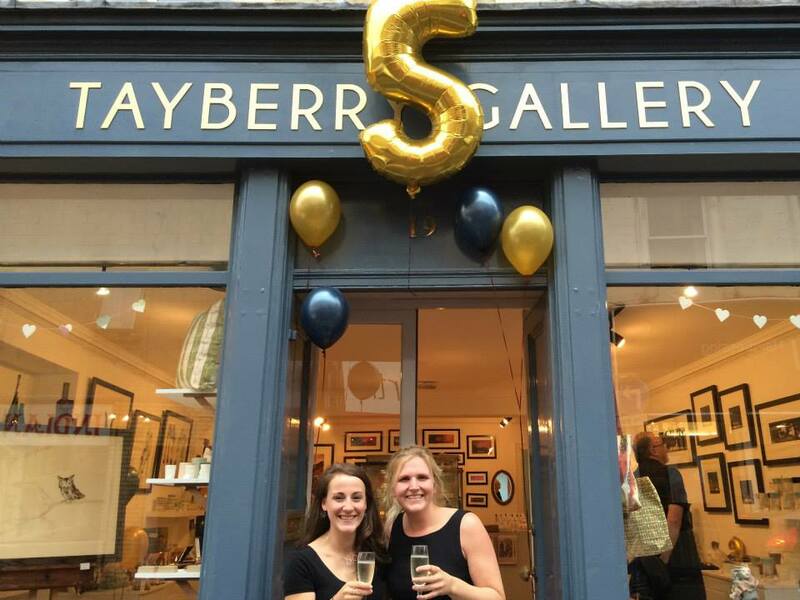 Only a couple of years after graduating, Louise joined Sarah in business, and together they run Tayberry Gallery in Perth. Sarah and Louise are makers first and foremost and split their time between the gallery and concentrating on their own creative work. 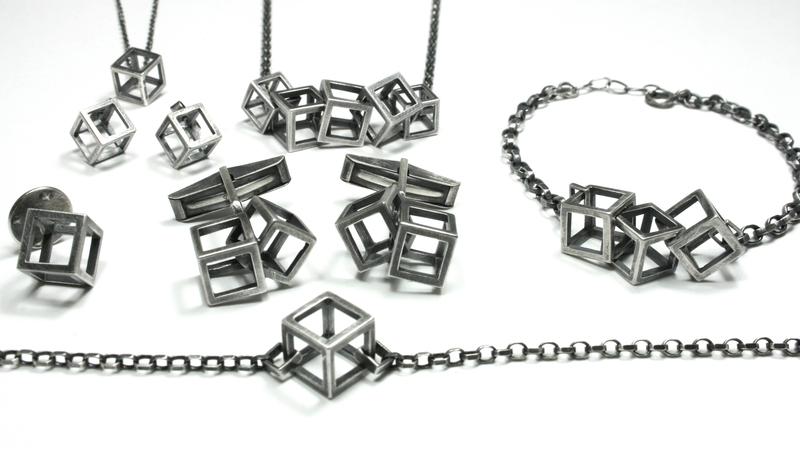 Sarah’s studio, located at the bottom of her garden in the Perthshire village of Errol is home to her jewellery collections, which are inspired by geometry and architecture. Meanwhile Louise shares a studio – with Sarah’s sister in fact – in Dundee. Here she has the space to create pieces of anthropomorphic furniture and a new range of household items crafted from salvaged wood that was donated by a retiring joiner who passed by Tayberry Gallery one day. Both create bespoke pieces for Tayberry Gallery and Sarah’s jewellery is stocked around the UK. Looking to their growing network of creatives, as well as dipping into events and directories like the British Craft Fair and Craft Scotland to source British hand-made objects to display, Sarah and Louise stock Tayberry Gallery with jewellery, ceramics, painting, wood, textiles, photography and glass pieces. 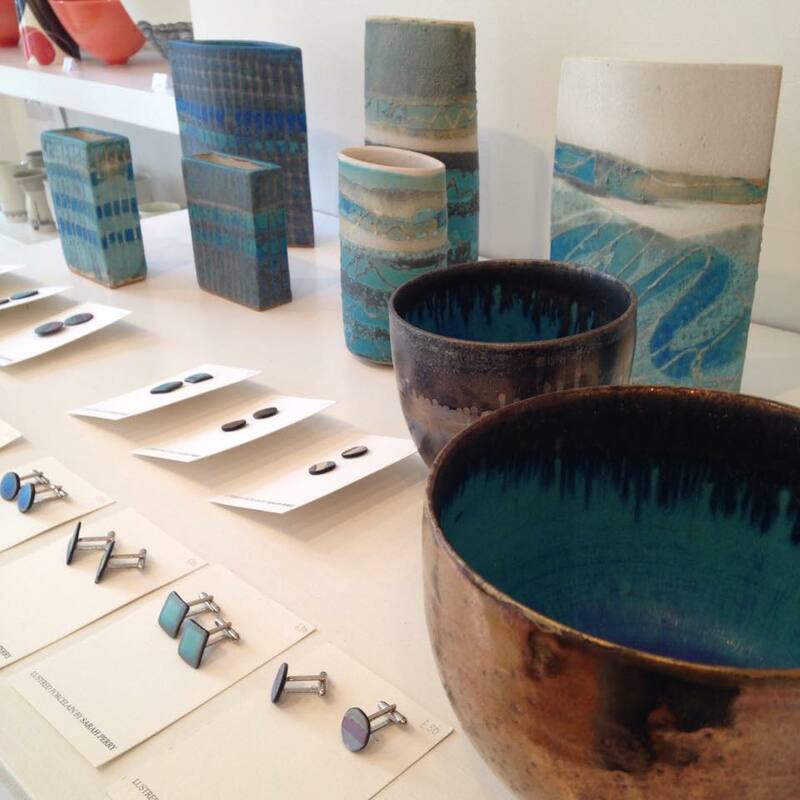 A recently launched Spotlight series within the gallery focuses on the work of a local maker each month or so. Garry Brown’s intricate clocks and sculptures made from driftwood are on display until 30 May. Alongside returning customers, Tayberry Gallery also receives a large number of customers from around Scotland and further afield. It’s something that Louise credits to being based in Perth. If you haven’t been to Tayberry Gallery before, you can take a virtual tour. This online look around was produced for Google after Sarah and Louise won a public vote for best independent retailer – testament to Tayberry Gallery’s carefully chosen design-led pieces and to the warm welcome that awaits each customer. Find out more about Tayberry Gallery on Facebook and Twitter. See more of Sarah and Louise’s own design work at Sarah Spalding Jewellery and Louise Forbes Design.